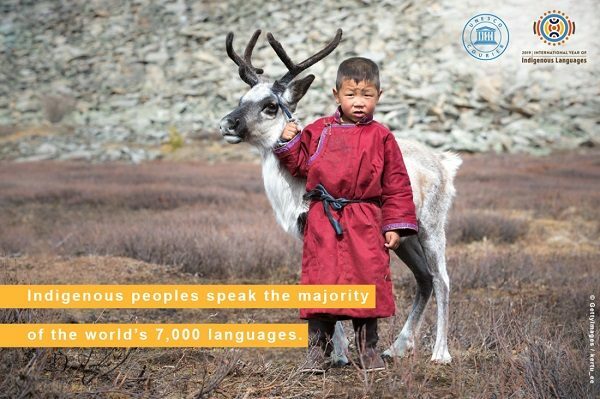 The United Nations Expert Mechanism on the Rights of Indigenous Peoples reaffirms the importance of the 2019 International Year of Indigenous Languages and emphasizes that the right to language is a human right for all people, and one that is particularly critical to indigenous peoples. To be able to communicate in one’s language is fundamental to human dignity and freedom of expression. 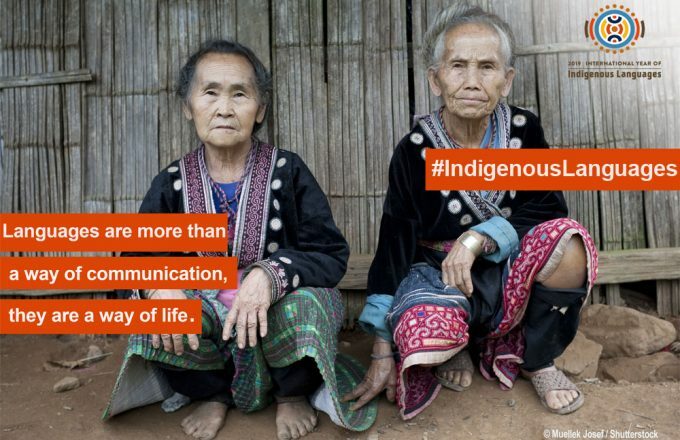 Beyond daily communication, indigenous peoples’ languages derive and are also crucial to identity, culture, health, governance, socio-economic well-being, spiritual traditions, histories and philosophies. 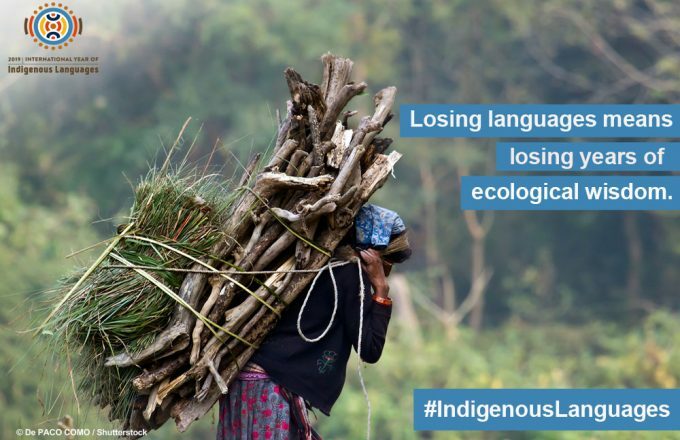 Of the 7,000 indigenous languages around the world, many are endangered, even on the brink of extinction, with severe impacts on the individual and collective rights of indigenous peoples. The UN Declaration on the Rights of Indigenous Peoples recognizes the right to languages as an inherent right for indigenous peoples and in its article 13 establishes that indigenous peoples have the right to revitalize, use, develop and transmit to future generations their histories, languages, oral traditions, philosophies, writing systems and literatures, and to designate and retain their own names for communities, places and persons. Therefore, we ally ourselves with the Human Rights Council’s Resolution (HRC/A/RES/39/13), which “encourages States … to participate actively in the organization and implementation of the activities relating to the [International] Year in 2019 and to uphold the spirit of the Year by taking measures to draw attention to the critical loss of indigenous languages and the need to preserve, revitalize and promote them”. Internationally, States can form national steering committees to engage with UNESCO on issues of worldwide concern, and domestically they can announce national action plans to revitalize indigenous languages in addition to adopting measures to ensure that indigenous peoples can understand and be understood in their languages in political, legal or administrative proceedings. States must take urgent action to recognize indigenous languages and to develop policies supporting those languages, including funding for education in those languages. The Human Rights Council’s decision to consider the promotion and preservation of indigenous languages as the theme of its annual half-day panel in September 2019, as proposed by the Expert Mechanism, is also a welcome move. 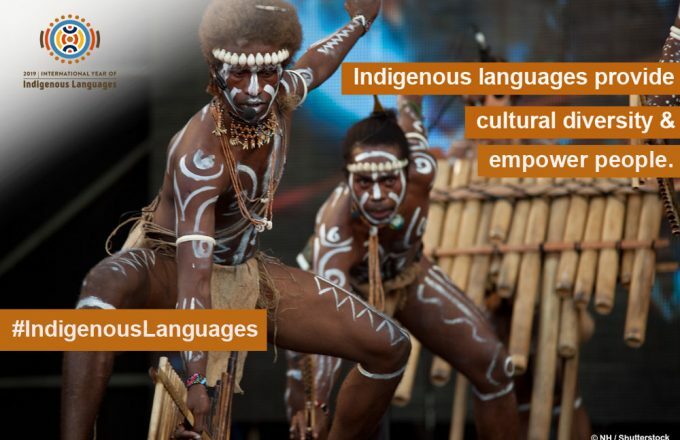 The ultimate goal of the International Year is not only to celebrate indigenous languages and draw the international community’s attention to their vitality, but also to expand language policies and negotiate new, more effective language safeguarding strategies. Overall, this International Year is an opportunity for states and indigenous peoples to remedy injustices in the realm of language rights, including many states’ historic suppression of indigenous languages, and to undertake preservation and revitalization measures, which earlier have seemed impossible or untimely. We strongly support the States that have encouraged the United Nations to Declare 2020-2030 the Decade of Indigenous Languages. This initial year is important to raise awareness among states and convene stakeholders, including universities, civil society, private sector, and other actors, in the movement for indigenous language revitalization. Yet it will take more time to reverse the dire situation of indigenous peoples’ language loss. Over the course of a decade, however, it would be possible to truly transform the situation of indigenous peoples’ languages, such that these languages could fully recover and flourish in the lives of indigenous peoples. Indigenous peoples must play a leading role and be fully consulted while these initiatives are being discussed. The Expert Mechanism is actively involved in deepening understanding about the linguistic rights of indigenous peoples and providing advice about the role of languages in the promotion and protection of the rights of indigenous peoples. In its previous studies, the Expert Mechanism has emphasized the critical role of languages for cultures, intellectual property, access to justice, education, health, business, self-governance, and reconciliation. The Expert Mechanism has also referred to the effects of historical and ongoing discrimination against indigenous peoples and individuals based on their cultures and use of their languages. 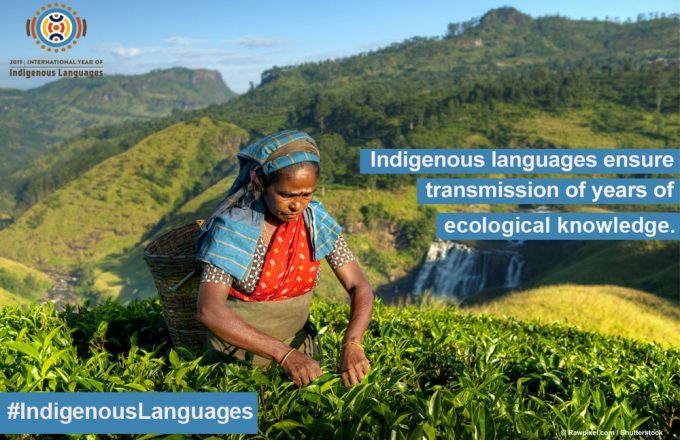 Moreover, the traditional ecological knowledge embedded uniquely in indigenous languages is widely recognized as critical to maintaining biodiversity and addressing climate change. We call on states and other stakeholders to bear in mind these strong interlinkages between linguistic rights and other human rights while introducing new language initiatives. Indigenous languages must be considered from a broad-based human rights based perspective and not only as elements of the cultural life of indigenous peoples. Members of the Expert Mechanism encourage all stakeholders to actively engage with activities around the International Year. We also express our support to UNESCO as a lead organization to make the International Year a reality. The Expert Mechanism on the Rights of Indigenous Peoples (EMRIP) is a subsidiary body of the Human Rights Council mandated to provide the Council with expertise and advice on the rights of indigenous peoples as set out in the United Nations Declaration on the Rights of Indigenous Peoples, and assist Member States, upon request, in achieving the ends of the Declaration through the promotion, protection and fulfilment of the rights of indigenous peoples. For further information see the following page.